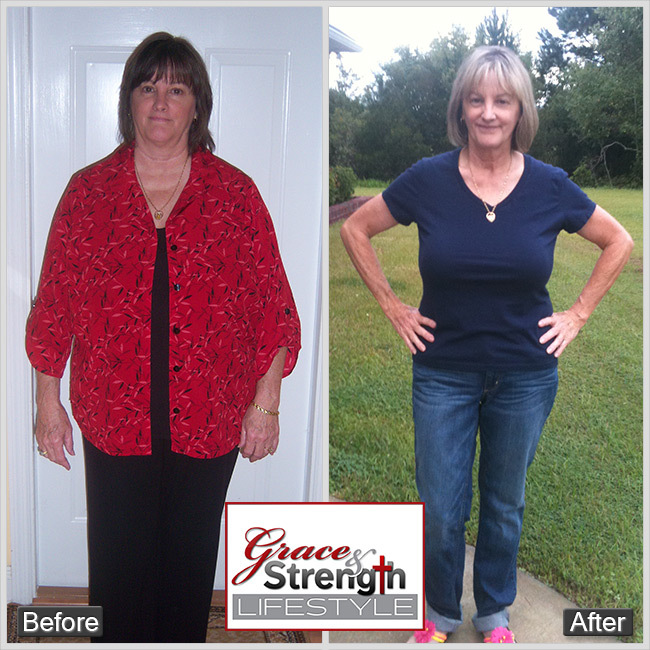 In today's post, highlighting the inspiring story of a 40 year old single mother of two sons who has lost 100 pounds with the Grace and Strength Lifestyle Diet. I have struggled with weight most of my life, and over the years I have tried many weight loss plans and read a lot of magazines on improving health. 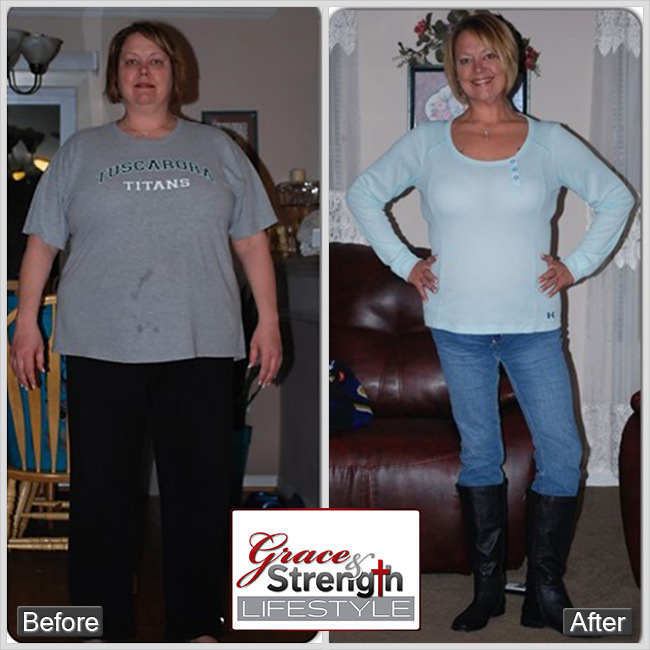 One day my co-worker mentioned how much weight her sister had lost through "The Grace & Strength Lifestyle". I thought to myself there is no way someone could lose 90 pounds in five months. "My grace is sufficient for you, for my power is made perfect in weakness." 2 Corinthians 12:9 This verse has become my life verse through my journey with Grace & Strength…and beyond! My journey with Grace and Strength began with me knowing something had to change. I have not been heavy my whole life, but had come to a point where food was my life. If I was happy I ate, sad, I ate, mad, I ate… you get the picture. 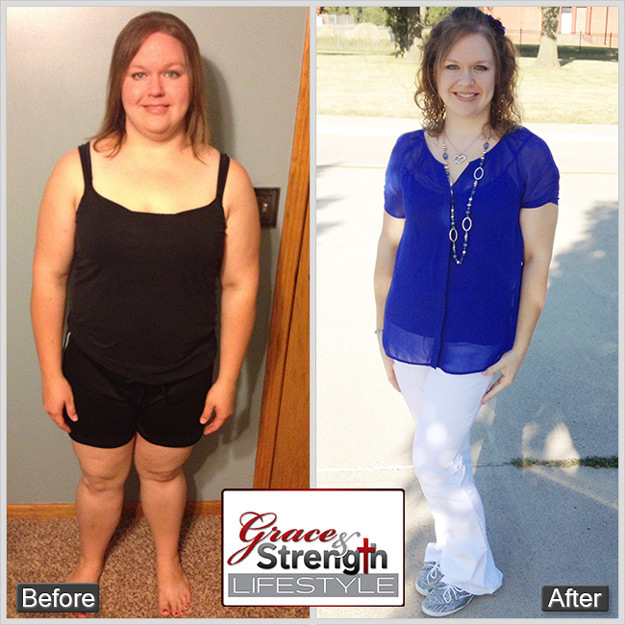 Graduation video and Before and After pictures for Grace and Strength Lifestyle graduate Jenna Penner. As I sit down to write this testimony it is hard to believe that this journey I started over six months ago has come to an end. 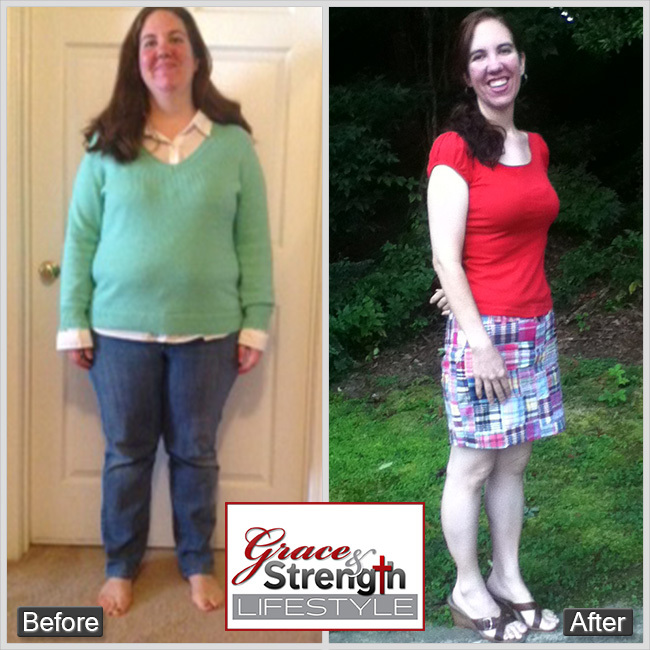 When I decided to start the Grace and Strength plan I couldn't help but wonder if this was going to be the diet that would work for me or would it be a repeat of the many diets I had tried over the years that had ended with me eventually gaining back what weight I had lost. And believe me; I had tried my share of diet plans.